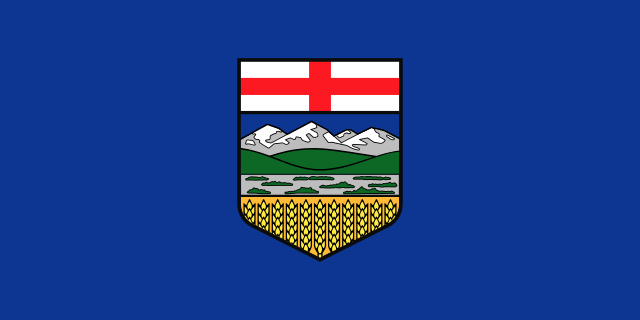 Alberta is a Canadian province with a motto that translates to “Strong and free.” It’s the most populous of the Prairie Provinces, and the capital city is Edmonton. The largest city, Calgary, is located 290km to the south, and the sports teams located in these two dominant cities often maintain a rivalry with one another. If you’ve ever thought about betting on sports in Alberta, this guide should provide you with a basic overview. The legality of gambling in the province is examined, as are the various pro and college teams to choose from. It’s legal to bet on sports in Alberta, but all services are run through the Western Canada Lottery Corporation. Their operations are known as Proline or Sport Select and they’re readily available at terminals in convenience stores and other participating retailers. The biggest restriction is that more than one game has to be selected, and you must get all your predictions correct in order to win. Players are also limited to no more than $250 in wagers per day. • Pro-Line – Select the outcomes of three to six games. Options include a home win, visitor win, or tie. • Over/Under – Predict whether the final score in a game will be above or below a certain number. You can select from two to 10 games. • Point Spread – Predict who will win in two to 12 different games with the point spread factored in. • Pools – Predict the outcome of every game on a card. If you get the most correct predictions out of all the participants, then you win the prize pool. • Props – Two players in a sport are matched up, and it’s your goal to select which one will do better (or a tie). Options include running back yards, quarterback yards, golf scores, football receiving yards, hockey points, soccer goals, basketball points, and baseball hitters. • Combo Play – Wager on a series of combinations from the same game using Point Spread, Over/Under, or Pro-Line. Your combo must be two to five games, and the Pro-Line option is only available with a minimum of three games. • Double Play – Pick three to six games and combine Pro-Line with Over/Under. It’s legal to gamble online in Alberta, and the same applies for the rest of Canada. This means you have your pick of a wide range of virtual sportsbooks, and some of them are specifically geared towards Canadian residents. Besides the convenience of picking games from home, there’s also the added advantage of odds that are often superior to what’s offered by the Sport Select service. Ice Hockey and Canadian football make up the biggest sporting events in the province of Alberta, but the area is also home to a number of other sports teams. This section lists just a few of the teams operating in the region, but sports gamblers should have no trouble finding plenty of other betting options. • Calgary Crush – An expansion franchise of the American Basketball Association. • Calgary Stampeders – Founded in 1935, this football team competes in the West Division of the Canadian Football League. • Edmonton Oil Kings – A major junior ice hockey team that competes in the Western Hockey League. • Calgary Flames – Founded in 1972, this ice hockey team represents the city of Calgary in the National Hockey League. • Edmonton Eskimos – A Canadian football team that competes in the CFL. • Calgary Mountaineers – A team that competes in the Rocky Mountain Lacrosse League. Other squads include the Sr. B Mountaineers, the Jr. A Mountaineers, and the Jr. B Mountaineers. • Calgary Kangaroos – An Australian Rules football club that’s part of AFL Canada. • Edmonton Oilers – Founded in 1972, this hockey team competes in the Pacific Division of the Western Conference of the NHL. • Medicine Hat Tigers – A major junior ice hockey team that competes in the Western Hockey League. • Calgary Kookaburras – A female Australian Rules football club that’s part of AFL Canada. • Calgary Mavericks – A rugby union team that plays as part of the Rugby Canada National Junior Championship. • Calgary Rage – An all-female football team that competes in the Western Women’s Canadian Football League. • Prairie Wolf Pack – A Canadian rugby union team based in Calgary. • Calgary Roughnecks – A box lacrosse team that competes in the National Lacrosse League. • Calgary Cardinals FMBA – A men’s baseball team that competes in the Foothills Major Baseball Association. • Calgary Hitmen – A major junior ice hockey team that competes in the Western Hockey League. If you’re partial to betting on Canadian collegiate sports, this list should get you pointed in the right direction. If you’re not a native of the Great White North, please keep in mind that there’s a difference between colleges and universities. The former focuses on trades and careers, while the latter offers professional and academic programs. • SAIT Polytechnic – The Trojans are based in Calgary and compete in six sports. • Red Deer College – Based in Red Deer, the school competes in eight sports. The men’s teams are known as the Kings, while the women’s teams are known as the Queens. • University of Lethbridge – Known as the Pronghorns, their teams have won national championships in women’s rugby and men’s hockey. • Portage College – Located in Lac La Biche, the Voyageurs field a men’s hockey team. • Mount Royal University – The Cougars compete in sports ranging from golf to hockey. • Olds College – The Broncos compete in volleyball, curling, basketball, futsal, badminton, cross country, and women’s hockey. • Northern Alberta Institute of Technology – The Ooks field teams in hockey, soccer, basketball, volleyball, and badminton. • University of Calgary – The Dinos compete in 12 varsity sports. Their football team has won the Vanier Cup four times, and the school is also known for turning out Olympic athletes. • Ambrose University College – The athletic teams for this private Christian school are known as the Lions. • University of Alberta – The Golden Bears won three national titles in 2014 and a total of 65 since 1961. • Medicine Hat College – The Rattlers compete in volleyball, soccer, golf, and basketball. • Concordia University College – This Edmonton-based college program fields teams known as the Thunder in basketball, badminton, golf, curling, hockey, volleyball, cross country, and soccer. While online sports betting is always a decent alternative, Alberta residents have the option of driving to their local gas station and wagering on games every day of the week. The odds aren’t as player friendly on Sport Select products, but the convenience of accessing their services makes it a fair trade-off for many bettors. The only disappointment is the lack of sportsbooks in the casinos, but whoever said that we were living in a perfect world?